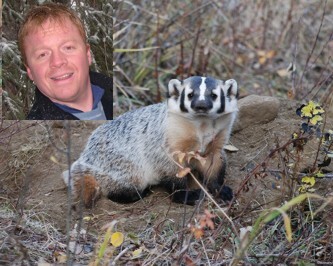 Richard studied the northernmost population of badgers within the province. Like many other peripheral populations, these animals appear to represent one of the few remaining strongholds of this endangered species. However, road mortality of these animals (like elsewhere in the province) seems to be increasingly common in this area, so Rich’s thesis focused on the ‘road ecology’ of the animal. In addition to standard VHF telemetry, Rich used camera traps to document road crossings, and GPS to collect fine-scale movements and habitat use of the animals. Roger Packham, a biologist with the BC government, and the BC Ministry of Transportation were our partners on this project.